Memories flow like running water when Father Time turns the page on a New Year. While we struggle with the words, we do not miss the sentiment swirling around our annual rendition of “Auld Lang Syne.” Each year we bid a simultaneous farewell and greeting to what was and will be and within that tension of reminiscent hope, we pause, or at least, we should. We pause to listen for a heartbeat. It is that rhythmic contraction of the heart that unconsciously allows us to be at the very least, conscious and reflective and, at the very best, self-aware and discerning. Each year on this day, unlike any other, we are invited into the challenge of self-awareness. I do not think it is an exaggeration to say that we live in a time of ever-weakening self-awareness. I call it the age of “shameless blame.” Perhaps now more than ever, I long for a healthy sense of shame. Honestly, I never thought I would say that. But then again, I grew up listening to Merle. 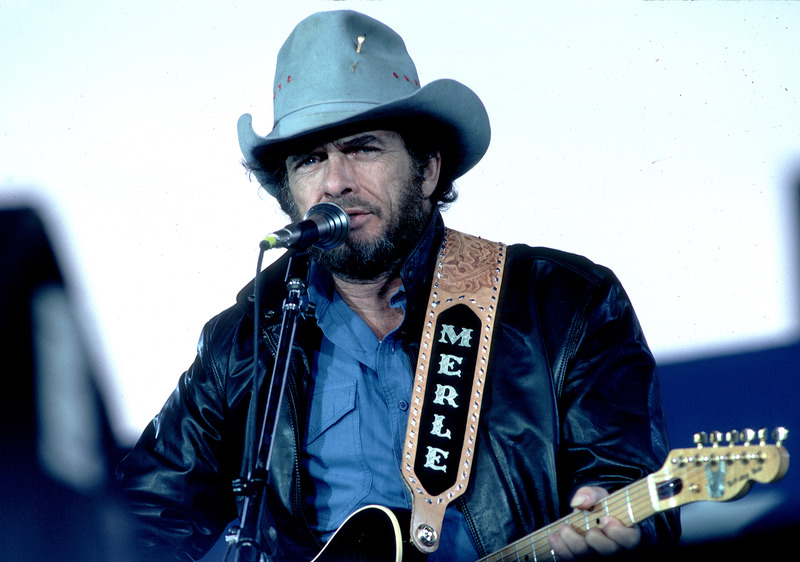 Country legend, Merle Haggard’s music was a prominent part of the stack of vinyl 45s my mother regularly rotated on the spindle of her stereo. His hard-driving, no-frills Bakersfield (California) Sound not only shook the Nashville establishment in the 1960s, but his music also displayed a rugged authenticity needed for times like ours. I am reminded of Merle today, January 1, 2018, as I read the story of Johnny Cash’s first-ever prison concert, tenderly dramatized in the movie, Walk The Line. On this day in 1958, Merle is a 20-year-old San Quintin inmate serving a 15-year sentence for burglary. He later identifies the concert by the “Man in Black” as the turning point of his life and career. “And honey you’ll have to hurry or there’ll be no reason to come home. Reverberating off the walls of our meager home on Decoursey Avenue in Covington, Kentucky, Merle’s words unwittingly settled into the texture of my adolescent consciousness. I felt my loneliness in his, I saw his Mama in mine, I worked my first job with dogged determination, and I sensed the substance of small town living as well as the pride of wartime patriotism. Through the years, I re-acquaint myself with Merle’s music through the digital music streaming services he likely never imagined. But it is a story I read in Rolling Stone magazine not long after his death that offers my final, favorite impression. While his fans knew Haggard’s hardened, gruff image as displayed in his music, his real-life persona was different, especially as he aged. He was polite, reserved, but intensely curious, especially about current events. He became a news junkie and was politically outspoken, often taking positions unpopular in the country music world. Now, let’s practice that pause I mentioned at the beginning of this blog. If you were feeling warm about my reminiscing of old Merle and suddenly went cold because I mentioned a former president that may not be your favorite, a pause for discernment is crucial. In a plea for “self-awareness,” take a moment to reflect. Why are we so incredibly polarized? Why do we so easily vilify someone with whom we disagree? Why do we blame “the other” person, party, or circumstance? We can do better. We must do better. May it start with you and me! I am in Boston to see my son, Nicholas and his beautiful bride, Stacie, and there is Halloween revelry bubbling around me. Our Stacie is dressed as Garth Alger, the character played by Dana Carvey, of the 1992 movie, Wayne’s World. It is a unique time of the year. “Tis the season of Halloween . . .
Every year it happens and every year there’s a least some misunderstanding. For the record, Halloween was not originally a time of revelry and festivity. It was recognition on the eve of All Saints Day (which is November 1) that we build our world and our lives upon the foundation laid by the saints who have preceded us. Hence Halloween, or “all hallows (saints) eve” was a time to reflect on those whose lives had been influential to us, and a time to sense their continued influence in our lives. Continue your celebration of “Hallows Eve” this week and let God’s light shine through! I don’t cry easily. Maybe someday I will. I am not proud of it. I do not think crying is a weakness. I just don’t cry easily. So why do I need to confess about crying? Let me explain. My recent tears arrive most unexpectedly, both in place and in power. I am on the beach, my favorite place to relax. Then without notice, streams of steady tears begin, my eyes unable to contain the flow. I am reading a book, something I do most everyday of my life. In this particular case, I am reading a book written by a friend. While he initially identifies it as a “novel,” I am relieved to discover these words in the preface: “This story is based upon (such) a memory for me, the true story of the intersection of strangers.” I am relieved because for me most novels die somewhere between fate and folly, dreams and drama. Disguised as a Trojan horse, the book enters the city of my soul and captures me unaware of the power of my missing brother. I tell you all of this because I want to warn you to read the book. I want to warn you in the way that a town crier alerts the community to upcoming opportunities. I want to warn you “memories matter,” people are precious and life is faithfully fleeting. The title of this book is An Intersection of Strangers and Paul Heagen is the writer. It is a story of two teenagers whose intersection in life is timely and timeless, opportune and enduring. It is a story of cars and kids, parents and music, wars both foreign and personal, fate and faith, living and dying. I can’t promise you will cry when you read it, but I can hope you will. P.S. You can contact my friend Paul on his Defining Moments website (www.definingmoments.me) or call 513-260-8330. Or simply go to Amazon to purchase. Giving Up or Giving In? We are only days away. We will soon be hearing strange sounding words like “Fat Tuesday,” “Ash Wednesday,” and “Lent.” And for those of us who did not grow up in church, well, these are confusing. Let me try to help. Simply put, Lent is to Easter what Advent is to Christmas. Just as Advent helps us to anticipate the coming of the Christ child, Lent prepares us to celebrate the resurrection of the Christ God-man. Since the fourth century, this season has been devoted to Christian nurture through self-denial, reflection and penitence. It is a forty-day period of soul refreshment that starts on “Ash Wednesday.” “Fat Tuesday,” as you might expect, refers to the day before which has become a day of gluttony and carousing. As I have observed over the years, the spiritual goal here is not so much a rigid adherence to a church calendar, but the recognition that human beings need to be reminded regularly of their need for self-examination and a re-opening of the heart to the reality of grace. • Give up complaining; focus on gratitude. • Give up pessimism; become an optimist. • Give up harsh judgments; think kindly thoughts. • Give up discouragements; be full of hope. • Give up bitterness; turn to forgiveness. • Give up anger; be more patient. • Give up pettiness; become mature. • Give up gloom; enjoy the beauty around you. • Give up jealousy; pray for trust. • Give up gossiping; control your tongue. • Give up sin; turn to virtue. So, why don’t you spend some time this week “giving up” some things you don’t need and “giving in” to some things you do need. The recent birthday celebration of Martin Luther King, Jr. calls us as a community of believers to affirm the truth: “Justice may sometimes sleep, but it never dies.” In our lifetime, we have see his dream of justice for all suffer with some moments of insomnia, but each time the dream has awakened in time to live through the night. Had he lived, he would have been 86 years old this year. In his 39 years on this earth, he reshaped the world for the better although he did not live to see his dream fully realized. A citizen, minister and civil rights leader, he rejected violence in all forms. Through his strategy of non-violence, he helped initiate a new understanding for peace and social injustice in the turbulent ‘60s. In the process he earned the Nobel Peace Prize and was named Time magazine’s Man of the Year for 1963. In the last few years, like many other famous people who have died, we have heard about Dr. King’s “feet of clay.” The recent movie, Selma, portrays this in a powerful scene where Coretta Scott King confronts her husband over FBI-manufactured evidence of his adultery and forces him to admit that there were, indeed, other women in his life, although King claims to love only Coretta. Whatever we believe about his life, it seems clear to me that while it may not be appropriate for us to emulate his life, or for that matter the life of any other human being, it does seem fitting for us to recognize that even with his flawed humanity, Dr. King made a positive impact on his world and the kingdom of God. The beautiful honesty of the Bible on more than one occasion speaks of the shortcomings of its heroes. Its David was a murderer and an adulterer and one of history’s lousiest parents. Still on his good days, his achievements were so grand that God called him a man after his heart. This is not to say we should be like David or even like Martin Luther King. But it does say something about God’s ability and willingness to mold even flawed clay. Thanks be to God! The day I am writing this (January 2), my calendar tells me that on this day in 1968, Dr. Christiaan Barnard performed the first successful heart transplant operation. The thought of a heart transplant feeds my thoughts for this New Year and the hopes and dreams that “spring eternal” as we resolute our way into 2015. So, would you like to have a new heart? Not a physical one (unless, of course, your health demands it), but a spiritual one. One that is able to choose hope over fear and love over anger. I suspect after a year like 2014, most of us would agree that a little more hope and a lot less anger would be a good start for the New Year. So, what bit of anger are you holding onto? Or perhaps closer to the truth, what bit of anger is holding onto you? What piece of the truth did not get told, what confrontation was unfair, or what frustration festered into fear that exploded in anger? Well, whatever its source, I would plead that you set among your resolutions, hopes and dreams for the New Year, a determined desire to rid your life of all and every form of destructive anger. Now I am the first to admit that the “what” is easier than the “how” on this “rid yourself of anger” New Year’s goal. Most of us, with a little bit of reflective energy, can locate the eye of anger’s storm. It, however, takes pure, passionate, persevering patience to stay the course in moving from the source to the cure of our anger. But mark it well, my friends, it will NOT go away on its own. Much to the chagrin of those who thoughtlessly say, “time will heal all things,” the fact is, it doesn’t. Until you and I identify our anger and offer it to God in a prayer of cleansing confession, we will not “get over it.” It will cling to us like glue and suffocate any plans we have for hope and healing in the New Year. So, why not start today? The old proverb was right: “If you are patient in one moment of anger, you will escape a hundred days of sorrow.” Begin today moving from anger and sorrow. It starts with a simple prayer that invites God to transform your aches into opportunities, your regrets into possibilities, your anger into peace. Thanks be to God! There are moments when all we can do is shake our head and state the obvious, “you can’t make this stuff up!” So it was on one late August afternoon in Northern Kentucky. An early afternoon meeting ends, leaving me near my home and hungry. Seeking a quick lunch, I pull into my garage and as I ease out of my car, I hear it. A loud thud followed by a roaring engine and I get my first glimpse of the “you can’t make this stuff up” experience coming straight toward me as I peer through the window at the end of my garage. A blue truck, engine thundering and tires spinning in the grass, heads toward my shocked gaze as I search for the face of the driver. Head jerking from side to side, hands writhing in contorted motions, his truck’s destination is unknown until it hits the large landscaping rocks in front of my garage, which spins the vehicle toward my driveway and the large, 8-foot poles holding hinged entrance gates. Slamming into one of the poles the wheels keep spinning, the driver’s foot unable to release the gas until one tire goes flat and settles the truck into a cornered resting place. I locate the gun and dial 911 to report the accident. Only a half block away, the police and emergency folks arrive soon, but not before one unforgettable visitor to this already strange set of circumstances. She exits as quickly as she arrives, but my redemptive recollections of that day linger long beyond the estimates and insurance paperwork following that “you can’t make this stuff up” day. For the record, the driver walked away, albeit slowly, from the accident. The victim of a diabetic seizure, his children were calmed, the truck towed, and yes, he had a license to carry the gun. My deeper reflections of that day only recently surfaced. Knee-deep in Advent declarations and discoveries, I could not miss the parallel. The dictionary says a “diabetic seizure occurs when the body receives a number of different signals from the brain that happen at the same time and contradict each other.” Our world is awash with a myriad of diverse but simultaneous signals, which contradict each other and often leave us in a senseless seizure. Yesterday, I watch the television screen at my gym offer alerts about the hostage situation in Sydney, Australia. The siege ends with the gunman and two captives dead. Today, the alert on my phone produces a gasp as I read of the slaughter of over 100 children in the Peshawar school attack in Pakistan by Taliban militants. And our own country is awash with the conversation around the recently released report on CIA torture. The grand contradiction, however, comes when we boil the Christmas story down to a yearly celebration of mangers and malls. We sing with the angels about “peace” on earth, but when it is all over we leave our world peace to politicians and beauty queens. All these signals leave us numb and needy. We are numb and needy for a clear, convincing Christmas message to awaken us from the sugary sweet seizure of a sentimental story gone stale. So, may I offer you some sanctified “smelling salts” to awaken you to the clear, convicting message of the Christ child come to earth. To understand this story we must awaken to the place, Bethlehem. This place is on the “other side of the tracks” and it is intended to awaken us to the fact that God is doing something about real problems in the real world. To understand this story we must awaken to the person, Jesus. This person, Jesus, breaks down walls. He breaks down walls of violence and injustice, rich and poor, worthy and worthless, and the sin and death that separate us from knowing the love, peace and justice of God in this world. To understand this story, we must awaken to the peace, an inside out proposition available to Christ’s every follower. Peace will never simply be the absence of conflict. Real, honest, lasting peace is the presence of God through a personal relationship with Christ that exudes a hunger and thirst for right relationships, both human and divine. To understand this story we must awaken to the personal, the personal opportunity we have to play a leading role in this real life drama of God come down in human form. Honesty, the choice is ours. We can either slip into the sugary sweet seizure of a sentimental story gone stale or we can awaken to the miracle of the Bethlehem Christ child come true. Today is Armistice Day and on this day in 1918, the worst war in the history of mankind until that time came to an end. The guns were silent in World War I.
Armistice Day is one of those “memory” days. It is a day when we remember those who died in the war to “make the world safe for democracy.” On this same day in 1939, the song “God Bless America” had a somewhat delayed debut. As a semi-official national anthem, this song was 22 years old before it was heard in public. Irving Berlin wrote it during World War I, but it was not sung in public until that day in 1939. Some may be able to remember Kate Smith singing it on a radio broadcast. As we anticipate the “Thanksgiving/Christmas” holiday frenzy, it is vital to recall the peace process. It is vital to be grateful for those who gave their lives for the national and international peace we often take for granted. But most of all, it is vital to recall the place that Jesus, the Prince of Peace, wants to occupy in our lives. Remember this well: Peace is not the absence of conflict, withdrawal, or a forced tranquility, but a deep, abiding, internal “rightness” that reflects the presence of God. Correctly rendered, Luke’s account of the angels’ message announcing the birth of Christ is not “Peace on earth and good will to men,” but rather “Peace on earth among men of good will.” Christ indeed is the Prince of Peace to those who know Him and find this “rightness” inside which results in good will. Why don’t you decide now to seek “peace” in this hectic but Holy time. Seek peace, but remember, real, honest-to-goodness, life-sustaining peace is always an “inside-out” proposition. I was in my “wifi” zone. It was that time during vacation when I leave my beach bum world to visit my work world through the technology of “wireless” Internet. Not surprisingly, it was a rainy day. His accent was clearly northern, his eyes deep blue, and his two-day-old beard, GQ cool. His clothes were warm weather fun, but his ankle bracelet was ice-cold reality. Clearly not for decoration, this bracelet represented desperation and disappointment, the legal system’s form of extended incarceration. His name was Patrick and he was a man in need of help. I slid over and made room for him. His story slowly began to unfold. A two-time DUI offender, he spoke in broken sentences and broken heart. His sin had cost him not only his job, but also his company. A self-employed pressure washer in New York City, his journey brought him to warm weather, perhaps to escape the wintry rejection of his mother, whose reflection was his screen-saver. Down to riding a bike or taking public transportation, he was looking desperately for a job and had no idea how to operate either his iPhone or MacBook computer. How did that happen? Well, his assistant had taken care of that kind of stuff, but suddenly his life and livelihood had been dumped into the proverbial waste can and he had nothing or nowhere to hide. As he walked away, I wondered. Should I have said more? Perhaps what I experienced was a case of “seeding and believing.” Thanks be to God! I hate to miss the irony of historical coincidence. Being an ever-reflective historian (yes, I read “This Day In History”), I discover two sad but true events taking place on October 3, thirteen years apart. On October 3, 1995, an estimated 140 million Americans listen on radio or watch on television (I was one of them) as the acquittal verdict of the O. J. Simpson trial is read. On October 3, 2008, he is found guilty of 12 charges related to the incident, including armed robbery and kidnapping, and sentenced to 33 years in prison. While there is no real significance to the parallel dates, there is significance to the downfall of a man’s life, whose destruction began, at least publically, with reports of domestic abuse. Imagine this, a NFL football player is accused of domestic abuse. How do you spell “Déjà vu”? With the carnival-like atmosphere of the arrest and trial of O. J. Simpson broadcast on television, we forget the unraveling of his life starts with charges of domestic abuse. A Heisman Trophy winner and star running back for the Buffalo Bills, Orenthal James Simpson becomes a popular television personality who marries Nicole Brown in 1985 and pleads no contest to a charge of spousal battery in 1989. She files for divorce in 1992 but is stabbed to death along with Ronald Goldman in June of 1994. I grew up around domestic abuse although my story is one with an unusual and ironic twist. My father is killed in a work accident when I am 6 years old and my mother struggles for years with her grief and devastation. At least two of my mother’s husbands (she is married 3 more times and I call them her husbands because they are never fathers to me, she makes sure of that) attempt to abuse her physically. I say “attempt” because Mom, steeled by her grief and Hazard, Kentucky upbringing, does not allow it for two reasons: no man is worth it and her guns are always nearby. What I most remember about the underlying anger birthed by the arguing and fighting is the all-consuming presence of fear. It is more than a fear of the unknown; it is a fear of loss, a fear of surrender, a fear of acceptance. It is not a fear of something that might happen, but a fear of what has happened and may happen again and again and again. When I think of all the “stuff” happening in our country (ISIS, killing of black men by white police officers, domestic abuse, Ebola, growing distance between the rich and poor, campus sexual assault), I recognize the place of fear in all of these. Fear is the classic example of a double-edged sword: while a necessary ingredient to maturity, it can also be a cesspool for hatred. Simply put, there is a good fear and a bad fear. • Good fear is an instinct for protection and security. Good fear is a prompting to pay attention and make prioritized decisions. • Bad fear is created with misconceptions, prejudice and pain that shackles us to a confused view of reality. Bad fear distorts the truth either by exaggerating evil or underestimating the potential for good. • Good fear is what Nicole Brown is feeling when she leaves her husband. • Bad fear is what O. J. Simpson is feeling when he physically hurts and ultimately kills (yes, I believe he was guilty) his wife. • Good fear is what my brother and I feel as we hear our stepfather threaten our mother. • Bad fear is what places my brother and I on the front porch of our home on Decoursey Avenue in Covington, Kentucky one night with a loaded shotgun as our drunken stepfather menacingly circles the block in his car. Good fear and bad fear are daily choices. I suspect American novelist Marilynne Robinson is correct in her confession: “I hate to say it, but I think a default posture of human beings is fear.” For followers of Christ, there is an added dynamic to our daily encounters with fear. When scripture says, “There is no fear in love; but perfect love casts out fear” (I John 4:18), it means our access to a loving relationship with God can tilt the scales of fear in the direction of good.